In 2012 this walled urban garden received a contemporary make-over. While preserving the Victorian structure and essence of the garden, we also ensured that there were lots of native species also planted. We wanted the garden to be a place of relaxation but also a place of exploration and education. Careful consideration went into the planning and design of the refurbished garden area. 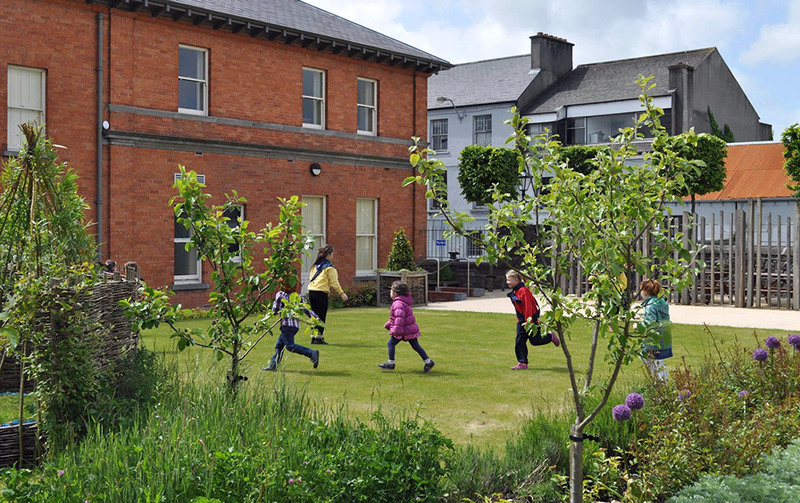 The Walled Garden contains many interesting features including an all-year round organic schools garden – with raised vegetable beds, herb beds, fruit trees and bushes.